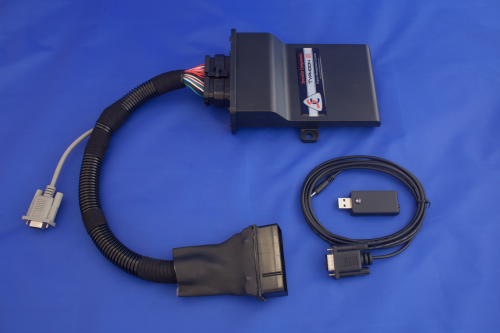 Fully ‘plug and play’ programmable ECU solution for single point injection (SPi) Minis using a bespoke version of the acclaimed SC D400 Engine Management System for this application. Now you can tune your injection Mini just like those with carburettors. 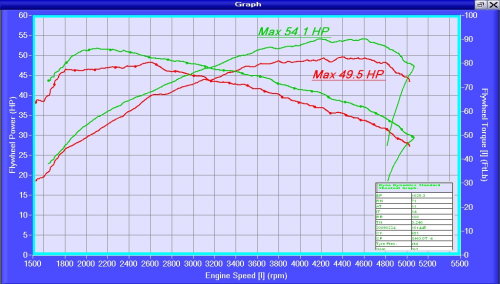 Make maximum advantage of any modifications to your engine, exhaust and intake. Set the idle speed, pass the MOT (with a suitable catalytic converter) or simply check that all your sensors are working correctly without need for expensive diagnostic testers. Suitable for all single point fuel injection Rover Minis (standard and Cooper) fitted with a single plug Rover MEMS engine management system. Some early cars have two plugs, but these can be re-wired to work with the single plug. Supplied maps are for standard 50bhp or Cooper 63bhp engines, modified engines will need to be re-mapped on a rolling road for best performance. We can arrange fitting and mapping of this system through our distributors, call us for more information. The power graph shows the power and torque gain achieved throughout the rev range by fitting this kit to a completely standard SPi Mini.